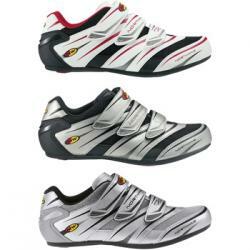 This is an ideal shoe for the cyclist who is looking for a functional and technical product. It has a special airmesh structure of the upper which allows the foot to breathe even when under strain, while the triple Velcro strap closure system and injected Ultra Y heel counter make sure the foot is stable. It also has an Anatomic footbed for performance and an NRG Carbon Reinforced sole.